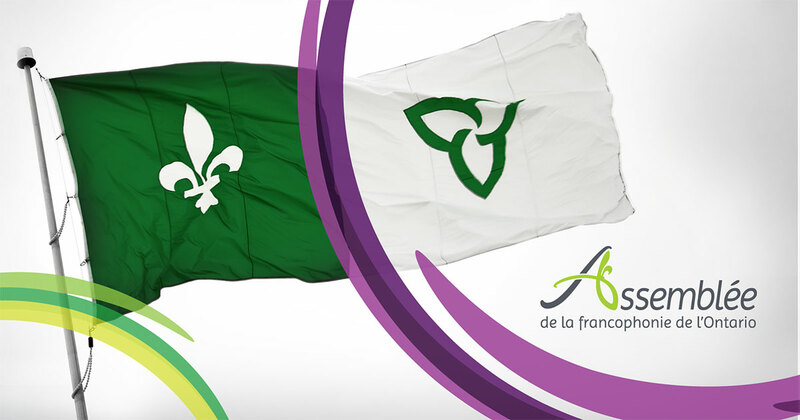 In a joyful atmosphere of great celebration, we participated in the creation of the Francophonie Assembly of Ontario (AFO, pronounce “la must!”) Whose vision is: French Ontario, united in its diversity , united in its actions and engaged collectively to ensure its well-being. Ontario’s Francophonie is coming together by creating this political antenna that will allow us to speak loudly, loudly and together. The Constituent Assembly held in Ottawa on November 11 and 12, 2005 was the culmination of a series of meaningful activities for all the communities that weave our Francophonie. AFO results from a merger between ACFO, which became the Assembly of Franco-Ontarian Communities this year,The direction the Canada-Community-Ontario Agreement (DECCO) and the newly created Provincial Union of Francophone Racial and Ethnocultural Minorities (UP-MREF). This gathering of AFO allows us to join forces to work together for the equitable development of a healthy and diverse Francophone community. The Ontario Francophonie Assembly becomes the preferred tool to ensure our acquired rights and the development of our socio-economic and cultural life. AFO brings together and hears all organizations interested in helping to improve the lives of Ontario’s Francophones. ACFO will continue to operate in AFO as the primary regional or local representative in the community development sector. We can bring to AFO another important lever of our development in the sector of cultural and community centers. AFO offers the French-speaking community twelve other sectors of influence, including education, women, the economy, justice, health and arts, culture and heritage, to name but a few. some. Among the priorities expressed by the delegates is the importance of ensuring the legal recognition of our existence, at municipal, provincial and international levels; the urgency of providing Ontario’s Francophonie with provincial networks of community media, including radio and newspapers, as a communication tool; We have not forgotten the need for vital development tools such as a francophone university network represented in the five regions of the province. Hats off to the organizers of this large-scale event punctuated by many theatrics and a series of ovations. It is up to us that we recognized the sum of the work done by Jean Poirier, Jean Comtois and all the other members of the transition committee that led to the merger of ACFO,the DECCOand the MREFs now grouped together. Jean Comtois will continue to work for AFO by sitting on the Provisional Council with Réjean Nadeau, who is alsothe DECCO. Jeanine Proulx and Yves Beaudoin, will represent ACFO on the provisional committee whose mandate will run until March 31st. It is still standing that we have welcomed the departure of Jean Poirier who retired from public life for a well deserved rest. Jean we wish you long life and all the quality time you deserve in the company of Dominique-Marie to enjoy together and in the serenity of the splendor that offers the ecosystem of your property. The same momentum has raised us to welcome the UP-MREF within AFO and their representatives Nicole Alexis and Brigitte Chatué. Eddy Lukuna was also elected to the Provisional Council as a community representative, as was Mariette Carrier-Fraser. Simon Lalande, elected president of the provisional council of AFO, recognizes the importance of the team that surrounds him when he evokes the scope of the work that remains to be done during this short term. It is with all his charisma and the ardor of his youth that Simon often succeeded in raising the assembly until the moment of its closing. Once again, standing up with all our members, we have to take up our sleeves and the challenge of joining forces with our community to join the Ontario Francophonie Assembly. It all ended with a small concert given by two Francophones of African descent. The voice and the dance were marrying well to the sound of the drum, too, African. Expressed with emotion, the lyrics of the last song invited us to assemble, we Francophones of Ontario.